One of the most important things you can do when meeting with your physician is describe your pain in as much detail as possible. Doing so can help lead to an accurate diagnosis in less time. Even being able to describe your pain in terms like sharp, dull, or tingling is helpful. Plus, if you’re experiencing back pain and have been to the doctor for it, chances are you had a hard time following what he or she was saying. Learn all the spinal terms so you’ll be able to understand your physician better during your next visit. 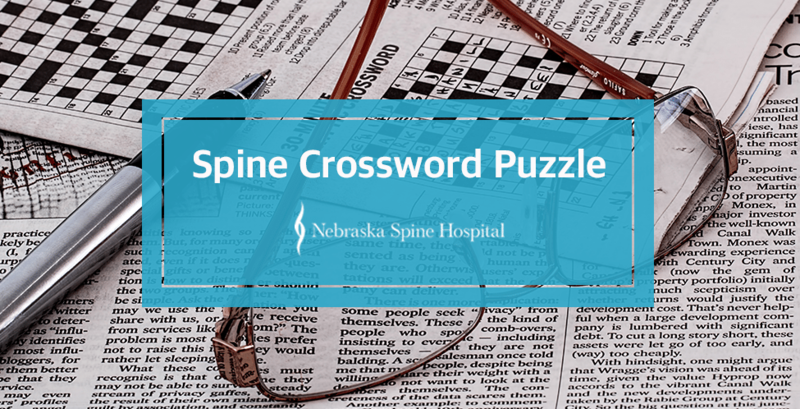 The terms used in our crossword vary from spinal conditions to anatomy. 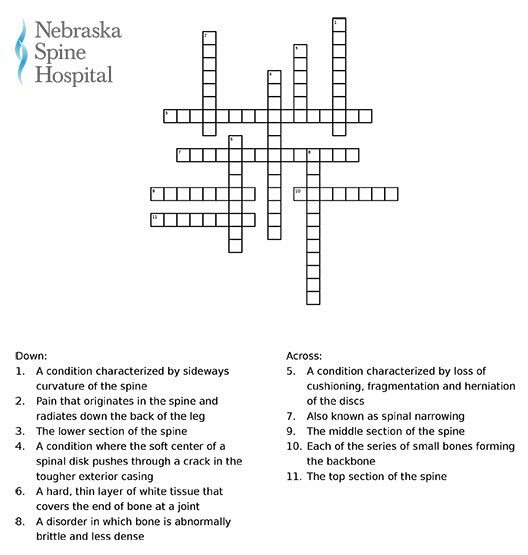 Below is a downloadable version of our spine crossword puzzle. Print it out and try your hand when you have a few moments. Once completed, let us know how you did on social media. You can contact us on Facebook, Twitter, Instagram, or all three! Below is the answer key to our crossword puzzle. Please do not download it until you’ve completed your puzzle or are truly stuck on a term.